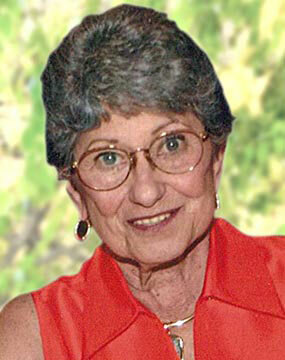 The Beverly McCann Flower Endowment Fund was created in memory of Beverly McCann. who immensely appreciated and enjoyed beautiful flowers. This Endowment Fund, which was established by Bev’s family and friends, has created a lasting tribute in her memory for others to enjoy for years to come. Income from the Beverly McCann Flower Endowment Fund supports the ongoing beautification of Hospice & Community Care’s Inpatient Center and the Pathways Center for Grief & Loss. Funds provide for regular fresh flowers and maintenance of plants throughout the interior of Hospice & Community Care’s facilities, lending to the home-like atmosphere for patients, families and Hospice staff. Beverly loved flowers and supported Hospice & Community Care with her warm and caring spirit, in much the same way as beautiful flowers provide caring comfort and warmth. Bev especially enjoyed supporting the Hospice & Community Care Labor Day Auction and had great fun bidding on all kinds of Auction favorites. Beverly worked as an ICU nurse at Hanover Hospital and Lancaster General Hospital. She was married to Dr. William D. McCann for 31 years and was a devoted wife, mother and grandmother. Hospice & Community Care has established endowment funds for the purpose of providing income to be used for specific needs. The principal remains invested in order to perpetuate the fund for future generations. Gifts may be made to The Beverly McCann Flower Endowment Fund at any time. If you would like to make a gift, please click here. For more information, please contact Amy Lewis, (717) 735-8729 or alewis@hospicecommunity.org, or Bonnie Jess Lopane, (717) 391-2407, bjesslopane@hospicecommunity.org.